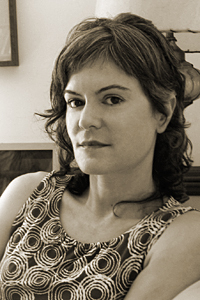 Lisa Williams is the author of two collections of poetry, Woman Reading to the Sea (W.W. Norton & Co., 2008), which won the 2007 Barnard Women Poets Prize; and The Hammered Dulcimer (Utah State University Press, 1998), which won the 1998 May Swenson Poetry Award. Her poems have been published or are forthcoming in Poetry, Image, Measure, Poetry Daily, Verse Daily, and other magazines, and in anthologies including Bright Wings: An Illustrated Anthology of Poems About Birds (Columbia University Press, 2010), The Best American Poetry 2009 (Scribner Poetry, 2009), and American Poetry: Next Generation (Carnegie Mellon University Press, 2000). Her essays on contemporary women poets have appeared in The Hollins Critic, The Cincinnati Review, and Poetry Daily. She is the recipient of a 2011 Brown Foundation Fellowship, a 2010 Al Smith Individual Artist Fellowship, and a 2004 Rome Prize. Williams is an associate professor of English at Centre College.